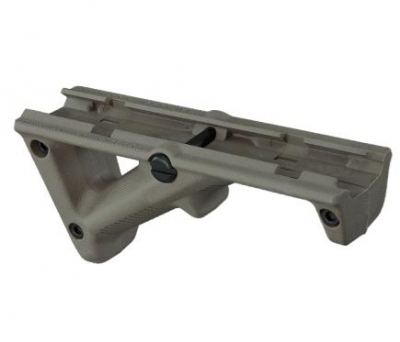 Features •Polymer three-piece design with an interchangeable finger shelf that allows for a flat "A1-style" surface or an "A2-style" finger nub •Mounts to MIL-STD-1913 Picatinny and NATO STANAG 4694 rails (min. of ~3" recommended) •All mounting hardware included Specifications •AFG-2 - Angled Fore Grip • Weight: 2.53 oz. • Length: 4.70 in. • Height, over rail: 1.94 in. • Width, maximum: 1.37 in.